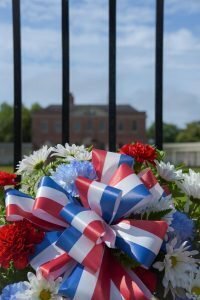 Tryon Palace will offer free admission to all active duty and military veterans, and their dependents and minor children in honor of Memorial Day. Since Tryon Palace is closed to the public on Mondays, the free admission will be granted on Sunday, May 26. This free admission will include the Governor’s Palace, historic homes, North Carolina History Center, and 16 acres of gardens. Military ID or proof of service is required for free admission.